Music: “You Won’t Be the Same” by TOY. 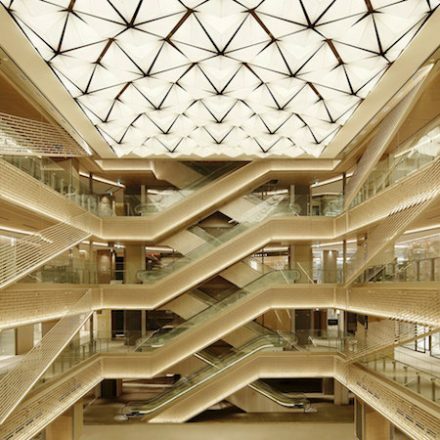 Major commercial complex Ginza Six to open April 20 in the heart of Tokyo’s Ginza district, with 47,000 square meters of retail space, 241 brands, and 4,000-square-meter rooftop Japanese garden…. 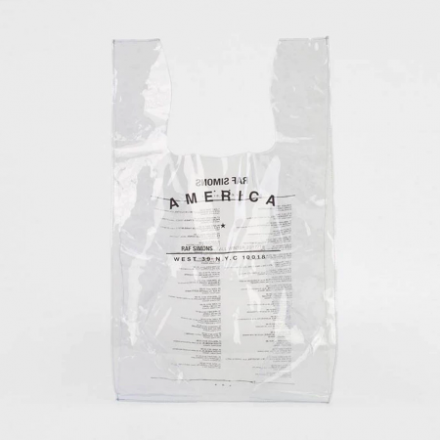 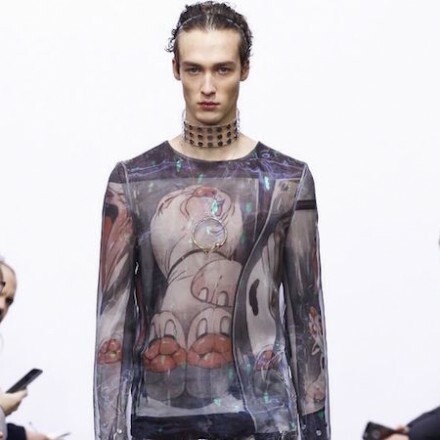 Teaming up with Berlin’s Voo Store, Raf Simons releases a transparent PVC shopping bag with his “America Tour” graphics at USD $235 !